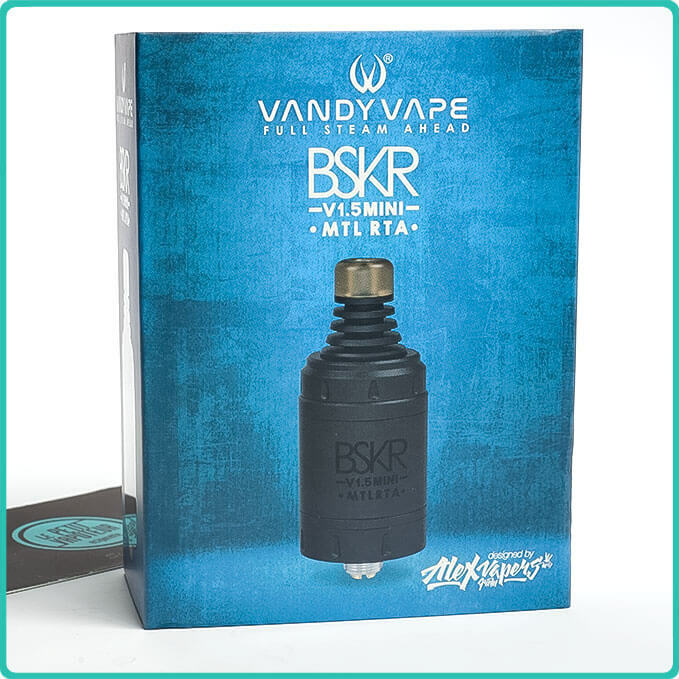 With the Berserker V1.5 Mini MTL RTA, Vandy Vape has perfectioned it’s atomiser for a vape in indirect inhaling. The Berseker V1.5 Mini passes over to a small diameter of 22mm to concentrate on the flavours. The Berserker V1.5 Mini is in effect equipped with a small atomisation chamber which is very convex. The Berserker V1.5 Mini also has an ultra MTL airflow with 5 openings of 1mm to 8mm in diameter. The assembly plate is in keeping with the 2 posts for the assembly in fine mono coils. An old school assembly as the airflow passes under the coil. 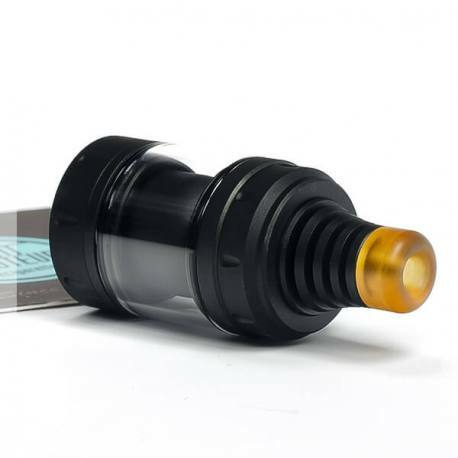 In bonus, Vandy Vape proposes 2 types of reservoirs: a glass reservoir which has a capacity of 2ml, and a reservoir in metal which has a capacity of 2.5ml. 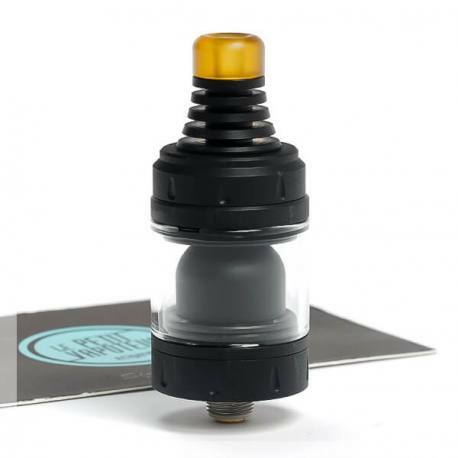 And, of course do not forget the magnificent drip tip with cooling fins so the tip can also be in Ultem or Delrin. A second drip tip in Delrin, fine and long is also offered. You can change the look of your atomiser depending on your preferences. 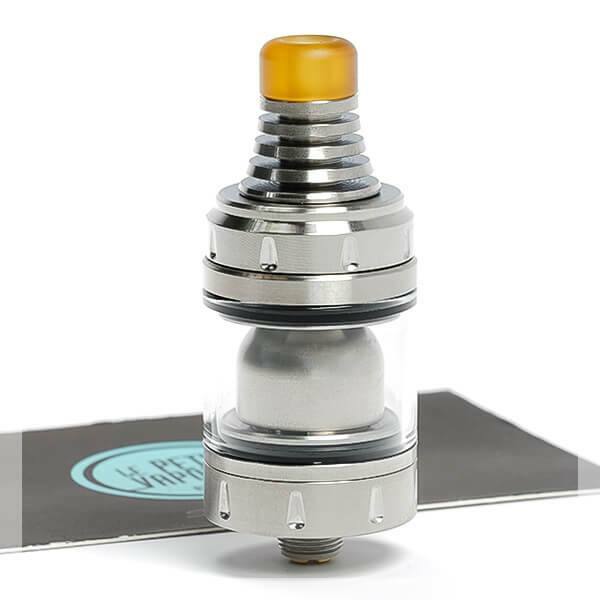 The Berserker V1.5 Mini MTL RTA is made by Vandy Vape. New collaboration with Alex of Vapers MD, the Berserker V1.5 Mini is made for amateurs of flavours in Indirect Inhaling. 5 airflows, a plate in mono-coil, simple and precise, 2 tanks and drip tips, the Berserker V1.5 Mini has all you need to vape in flavour mode and with a tight pull. As the name indicates, the Berserker V1.5 Mini is really mini, with a diameter of 22mm and has a height of 33.8 mm without drip tip. The Drip Tip or drip tips have cooling fins in Steel. 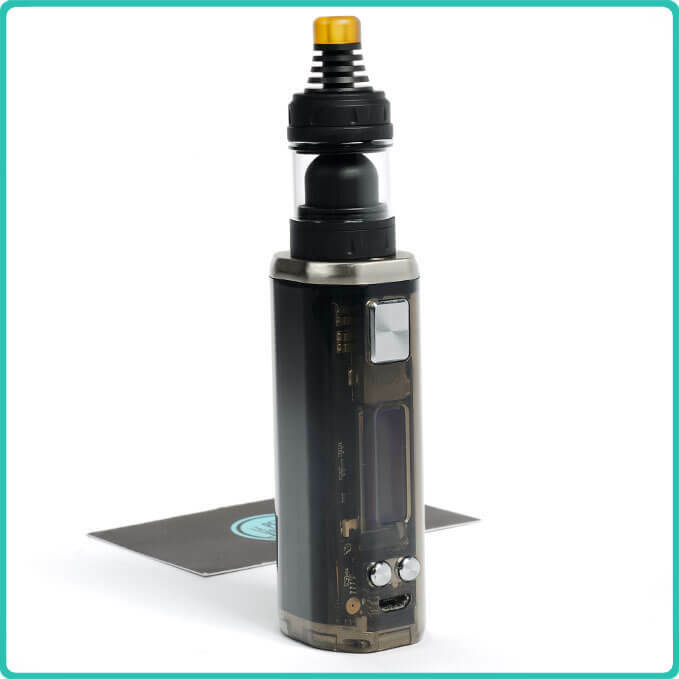 The design of the Berserker V1.5 Mini can also be modified by opting for the Steel tank which increases the capacity of the atomiser at the same time. To vape in MTL, indirect inhaling, no need for it to be complicated. The assembly plate of the Berserker V1.5 Mini is in the settings of the MTL: 2 posts with very large screws. The Airflow is situated just under the coil. It is a very simple plate which has been thought of for very small coils. It's so simple, even a beginner can find this perfect. You can observe the beautiful atomisation dome of the plate which concentrates favourably on flavours. Who says indirect inhaling is MTL, says tight pull and a small airflow? On the Berserker V1.5 Mini there are 5 openings which takes on this process. 5 openings of different sizes: 1.0 mm, 1.2 mm, 1.4 mm, 1.6 mm and 1.8 mm. 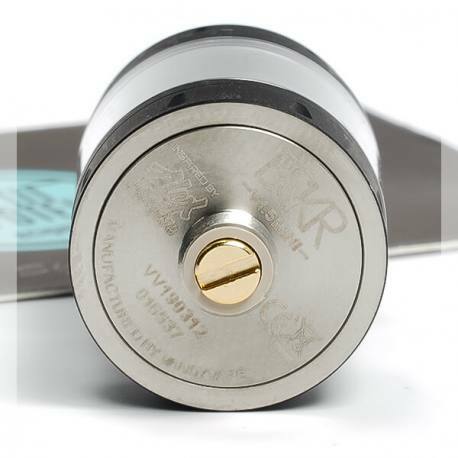 The vaper can choose its preferred pull by turning the ring at the base of the atomiser. The Berserker V1.5 Mini can hold up to 2ml in E liquid in a glass reservoir, and 2.5ml in a metal reservoir. The filling is simple and rapid and is effectuated by simply unscrewing the top-cap. The top cap is equipped with hermetic joints. 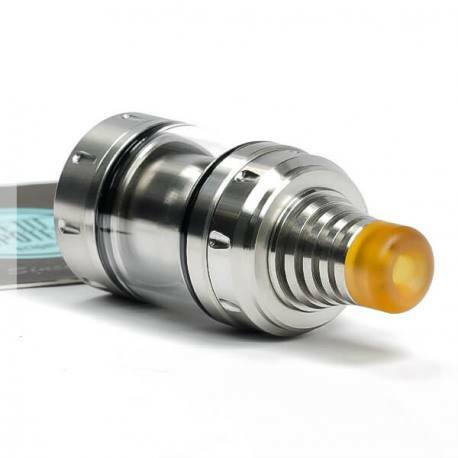 The Berserker V1.5 Mini MTL RTA Atomiser is made by Vandy Vape.